A gap opened in the defence and Ivan van Zyl took full advantage. Bulls sub Lizo Gqoboka comes onto the field. Spellbinding play by Felipe Ezcurra is finished off with a try. Domingo Miotti curls the ball too far, missing the posts to the right. Conraad Van Vuuren (Bulls) is shown a yellow card. A wonderful passing move by Jaguares is finished off by Domingo Miotti. The defensive line has been broken as Matias Orlando goes through the gap. What a run here by Emiliano Boffelli as they gets over the gainline!. Domingo Miotti converts the try. Felipe Ezcurra played a key part in that try. A series of passes by Jaguares results in a try for Domingo Miotti. Tim Agaba (Bulls) is shown a yellow card. Domingo Miotti comes on for Jaguares. Santiago Gonzalez Iglesias leaves the field. Ivan van Zyl makes the break as the defence re-enacts the parting of the red sea. Ivan van Zyl comes on. Bulls have won 80 rucks so far this game. Bulls decide to make a substitution, with Thembelani Bholi getting some game time. Bulls decide to make a substitution, with Ruan Steenkamp being replaced. Jaguares make a substitution with Rodrigo Bruni coming on. Jaguares make a substitution with Marcos Kremer coming off. Jaguares sub Felipe Ezcurra comes onto the field. 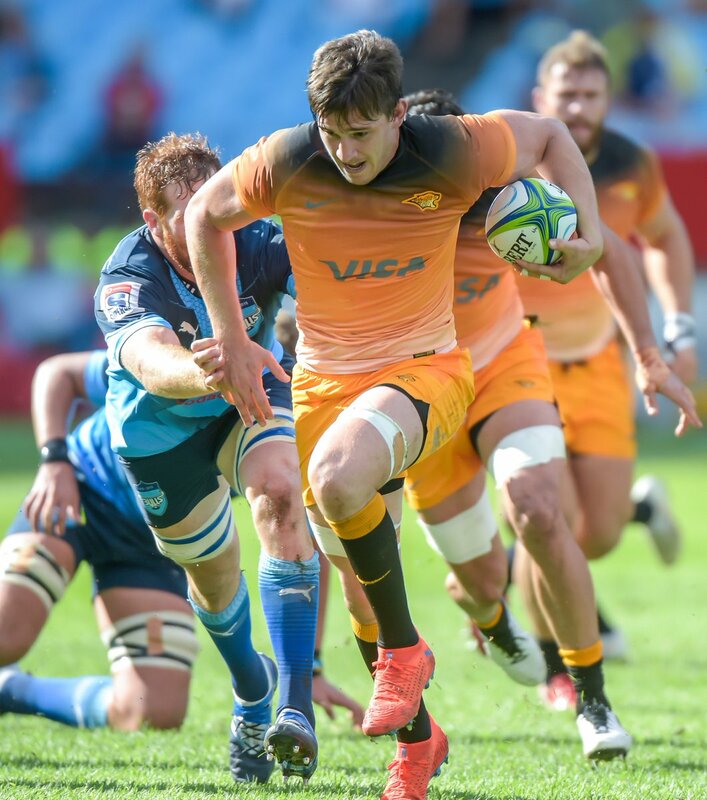 Tomas Cubelli departs for Jaguares. 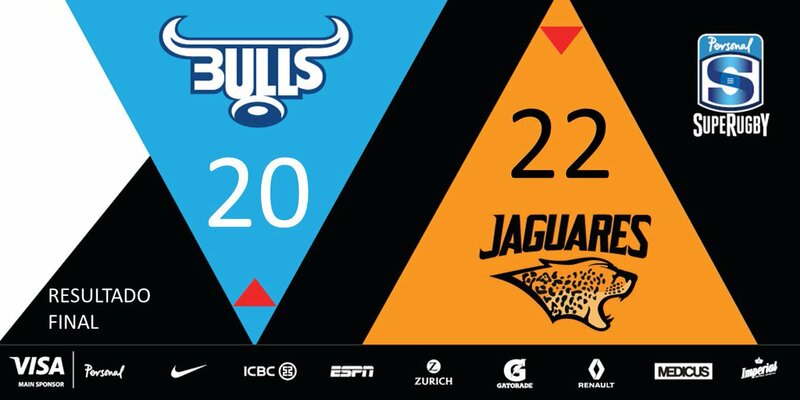 Fabulous play by Bulls has led to Lizo Gqoboka being able to wriggle through a gap. Jannes Kirsten has made 10 good tackles so far this game. The touch judges raise their flags as Manie Libbok kicks the penalty goal. Pablo Matera has made 10 good tackles so far this game. Tomas Lavanini comes on for Jaguares. Mayco Vivas leaves the field. Bulls have won 60 rucks so far this game. Javier Ortega Desio comes off. 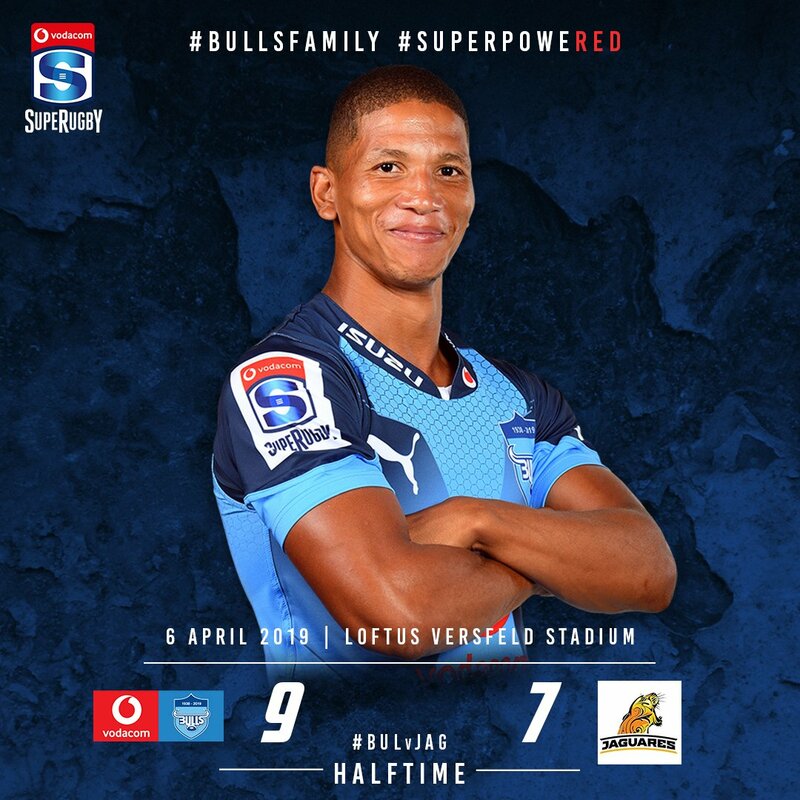 Manie Libbok adds the points for Bulls. Bulls decide to make a substitution, with Jaco Visagie getting some game time. Bulls decide to make a substitution, with Corniel Els being replaced. Santiago Gonzalez Iglesias does the business as his penalty goal attempt goes over. 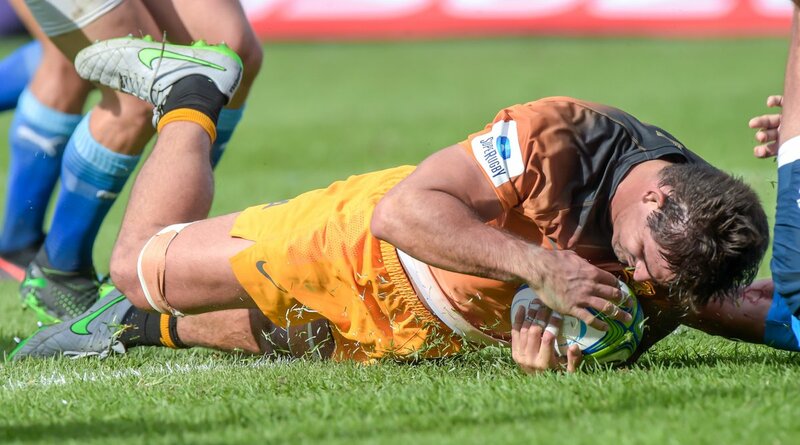 Nahuel Tetaz Chaparro (Jaguares) is shown a yellow card. Manie Libbok has hooked the conversion to the right of the posts. That's a great try assist by Burger Odendaal. Great hands by Bulls leads to a try for Jade Stighling. Trouble here as Burger Odendaal breaches the defence. Jaguares make a substitution with Joaquin Tuculet coming on. Bulls sub Conraad Van Vuuren comes onto the field. Trevor Nyakane departs for Bulls. Nahuel Tetaz Chaparro comes on for Jaguares. What a tackle there by Javier Ortega Desio as he saves a certain try!. Bulls have won 40 rucks so far this game. This is dangerous for the defence as Jannes Kirsten bursts through to advance the Bulls attack. Santiago Gonzalez Iglesias has kicked a conversion. Tomas Cubelli sets up the try. A gap opened in the defence and Pablo Matera took full advantage. Manie Libbok makes no mistake with that penalty goal attempt. Manie Libbok kicks the penalty. Manie Libbok has kicked a penalty goal. Manie Libbok steps up to take the penalty but pulls it wide and to the left. 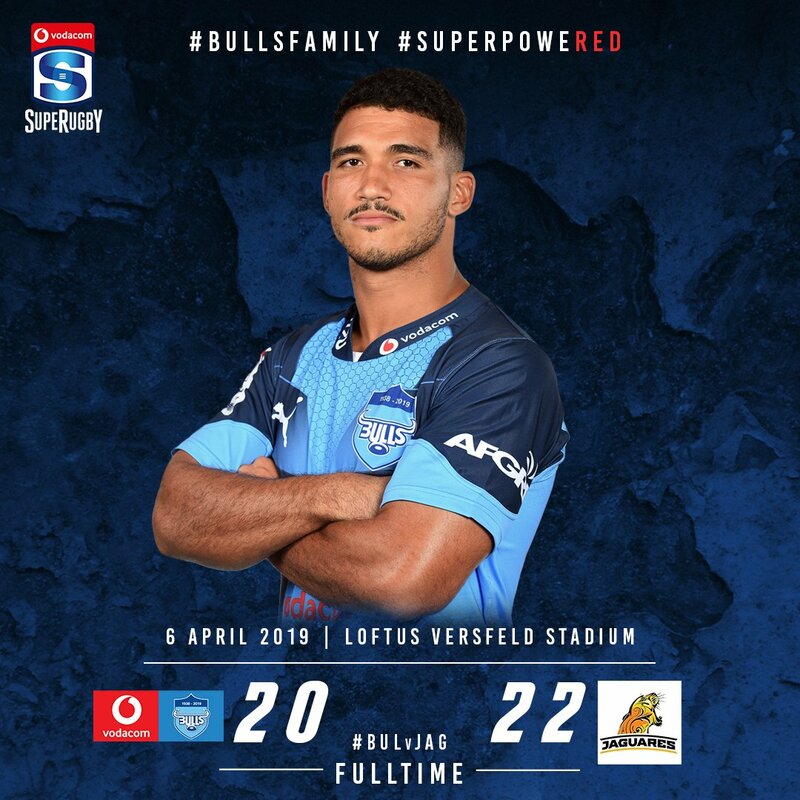 Primera victoria en la historia ante @BlueBullsRugby en el Loftus Versfeld de Pretoria. Erra la conversión del try Manie Libbok (10). Comenzó el segundo tiempo en Pretoria.